This article was published on 04/06/2008. 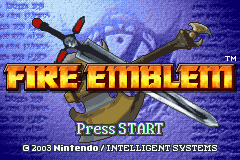 Fire Emblem is one of the first, and one of the best, strategy role-playing games to have graced the Earth. Almost every modern game of this genre owes some thanks to Fire Emblem. I will do what I often do best with such magnificent games and list the things I don't like about them. Let's get to it, shall we? 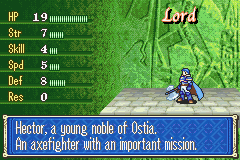 1) The first thing they ought to abolish in Fire Emblem is the random statistical gains when a character levels up. Certain characters are more likely to gain points in a particular attribute, like how a warrior tends to gain more points in strength than other characters. The problem arises when you aren't lucky with an attribute roll, and a character that should become a power house ends up as a weakling. It can take just a few points to ruin a perfectly good character, so the effects of a bad level up tend to be dramatic. Characters of a balanced nature are hurt by this the most, as their growth is the most inconsistent. The solution should be obvious; make the growths a fixed rate. 2) Permanent character deaths should be done away with. 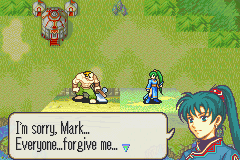 When a character in Fire Emblem dies, they die forever. These characters are even removed from the story, unable to contribute to the plot in death. Naturally, with consequences as dire as these, most players won't ever allow any of their units to be defeated. If such an event were to occur, they would most likely restart the fight, right from the beginning. It's a small price to pay in the grand scheme of things. This is far too punishing. Punishing players for making mistakes in a game is fine, but this is going too far. The permanent death thing was never a good idea to begin with, and now it's just archaic. 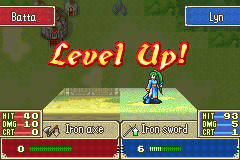 3) Don't you hate how you can't level up outside of the story in Fire Emblem? I know I do. This isn't a big deal for characters that you use often, but it's a problem for the bench warmers in your party. You will arrive at a point in which it will be too difficult to bring weak characters up to speed while simultaneously completing the mission objective. In the recent games, they have taken small steps to right this wrong, but seem indecisive. One game lets you fight extra battles, while the other one had a system that would allow you to gain bonus experience points which you can then assign to any character in your party, including the ones who haven't participated in most fights. Both things were moves in the right direction, but weren't implemented very well, so they weren't too effective. I'm of the opinion that they should dispense with the cowardice and finally go all the way. It'd be nice if they were more consistent, too, instead of switching between different methods. Why not use them all? 4) I hate how inconsistent the party slots are. Sometimes you can bring ten characters from your entourage into a battle, and sometimes it's sixteen characters. After that, it unexpectedly switches to eight characters. I like being able to bring so many characters with me, but I'm irked by the schizophrenic nature of the maximum characters allowed into a battle. If there were a number I could rely on, then I would know just how many units I should focus training. As it is, I might invest the time to train a few extra characters, only to realize that I won't be able to bring them along for the final fight due to it having a much tighter restriction. I don't like playing guessing games with the character slots. 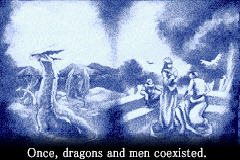 5) There are way too many characters, many of which you must recruit, just like in Suikoden. Every character will have a class, and different characters within the same class will have slightly different statistical growth rates. Because of these things, having plenty of characters to choose from should be a boon, and it partially is. However, when you have over six characters of the same class, many with identical statistics, then I'd say you have a problem. It becomes a tremendous task to choose your top warriors, one made more difficult by the previous thing I spoke about in entry number four. Out of the six paladins, which should I choose? 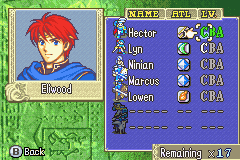 From the three mages, whom do I pick? To be honest, I never liked it when an RPG of any kind has so many playable characters. It diminishes their value in the grand scheme of things. 6) Fire Emblem games always have a terrible plot. This is the basic outline for almost every Fire Emblem plot: an evil king of a powerful nation suddenly decides to take over the entire continent, and the protagonist, a prince of a lesser nation decides to fight back. The king is usually being manipulated by an evil chancellor or advisor who is well versed in the dark arts. War ensues as the prince liberates all of the other nations, and then the various nations unite their forces to strike down the evil king's empire. You will almost always fight bandits during the first chapter of a Fire Emblem game. Nintendo has made attempts to change things up a bit in more recent Fire Emblem games, but the changes weren't bold enough. Another thing I don't like about these plots is that they're too "nice." It feels as if the developers are constantly restraining themselves from putting out anything that might be too controversial for a Nintendo game. And so, they never manage to make an interesting story. I find this to be the biggest problem, by far. They better start taking a few tips from Final Fantasy Tactics. 1,388,049 people love this site.